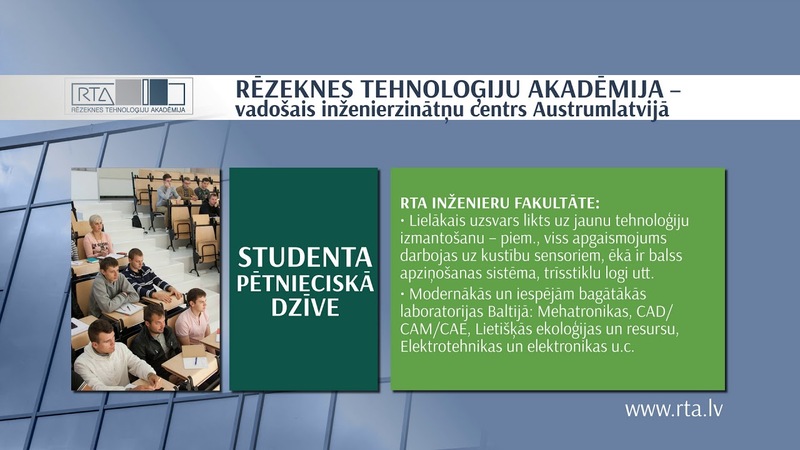 Next week, from 9 to 14 April, Rezekne Academy of Technologies (RTA) will welcome representatives from six Belarusian universities- Brest, Gomel, Gorki, Grodno, Polotsk, and Vitebsk. The guests, in collaboration with the academic staff of RTA, will improve the knowledge of working with the MOODLE- Modular Object Oriented Dynamic Learning Environment. The activity is being implemented within the Erasmus+ project “Enhancement of Lifelong Learning in Belarus: BELL (586278-EPP-1-2017-1-LV-EPPKA2-CBHE-JP). The aim of the training is to provide Belarusian colleagues with theoretical knowledge and develop their practical skills working with the MOODLE. Within the intensive course the academic staff of RTA will share their experience on developing courses, adding documents, following the progress of the course audience, involving learners in cooperation activities, working with more complex MOODLE tools, etc. The project is aimed at development of lifelong learning and active use of distance learning tools in Belarus with aim to contribute to the development of regional labour market and establishment of lifelong learning among the participating Belarusian universities. There are three other universities from the European Union along with RTA - the University of Cadiz (Spain), Linnaeus University (Sweden), and the Open University (UK). The academic staff of the universities will share their experience on using of distance learning tools. The project is intended to be carried out within two years. This year, with the advice and support of experts from EU partner universities, Belarusian universities will create five distance learning courses for lifelong learning: Law, Financial Affairs and Entrepreneurship, Information Technology, Energy and Saving Resources, and the English Language. The Belarussian partners will improve their knowledge about the development of distance learning courses during study visits at the EU partner universities. The project “Enhancement of Lifelong Learning in Belarus: BELL” (586278-EPP-1-2017-1-LV-EPPKA2-CBHE-JP) is being implemented with the financial support of the EU programme Erasmus+. The planned funding: 732 251,00 EUR. The content of this publication does not reflect the official opinion of the European Commission. Responsibility for the information and views expressed in the publication lies entirely with the author. The support of the EC to the publication is considered not to be the approval to its content, and the Commission is not responsible for the use of the information contained in this publication.